Rice is one of those foods that seems simple to cook, like eggs, but actually involves some skill and finesse. I've heard that culinary students often start out their training by learning how make proper scrambled eggs and that makes sense to me because the subtle nuance of properly cooked eggs shows in the flavor. And so it is with rice. Yes, you can put rice in a pot with boiling water, cover it and cook to whatever length of time the package directions suggest and your rice will be fine. But it will not be great. 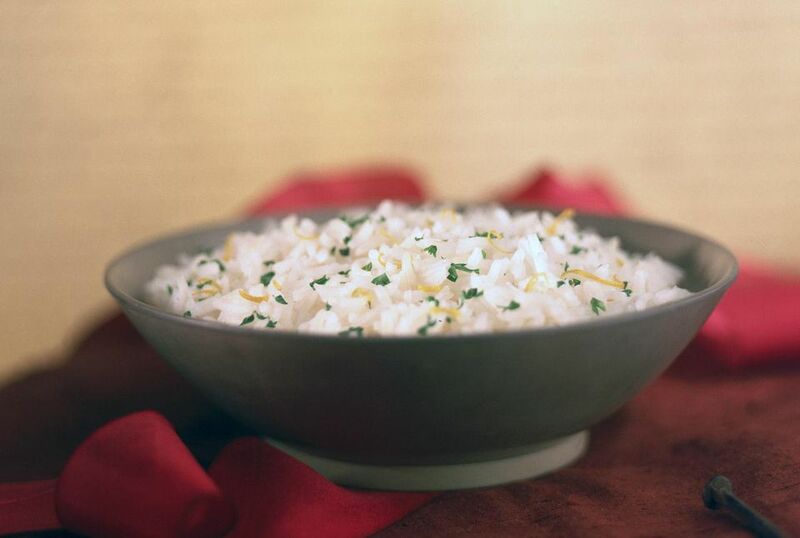 For that you need a little finesse and a basic rice pilaf recipe. In simple terms, a pilaf is a rice dish that has been cooked in a seasoned stock or broth rather than water and, most often, also contains sauteed onions and other seasonings. I learned long ago that most savory dishes that can be cooked in water would do better to be cooked in stock. And sure, homemade stock is best but for those of us with overly scheduled lives, there are plenty of great canned varieties. I recommend always choosing one that's low sodium since the regular versions can be quite salty and I like to be able to control the salt content in my food. I use beef stock for meat dishes and chicken stock for everything else. But there are great canned vegetable stocks as well if you want to keep the dish vegetarian or vegan. A pilaf doesn't strictly need to contain sauteed onions but...um...in my house it kind of does. Both the aroma and flavor are so elevated and my feeling about sauteed onions is pretty much the same as my feeling about stock - it's better with than without. But don't stop at just the onions. A pilaf is a perfect base to add additional flavors like herbs, chopped nuts, raisins and a whole variety of vegetables. In a large saucepan, saute the onion in the olive oil until soft and a light golden color. Add the chicken stock or broth and bring to a boil. Stir in the rice, add the salt and pepper, cover, and reduce the heat. Simmer on low heat for twenty minutes. Remove from heat and let sit, covered for 3-5 minutes. Fluff with a fork and serve immediately.